For bodybuilding enthusiasts, preserving muscle mass is as important as building muscles. While you are awake you eat enough proteins and work out to build muscles. The story changes when you sleep and your body goes protein hungry. Now, pitches in casein supplement to prevent muscle breakdown overnight. Slowly and steadily, casein, keeps trickling amino acids in your blood stream. Hence, your body gets nutrients to fuel metabolic activities and spares your hard earned muscles. An outcome of cheese making process both casein and whey are milk-based proteins, but with different effects on muscle building process. When citric acid is added to milk, while preparing cheese, it separates into two protein components: whey and casein. The watery remnant has whey proteins and cheesy, clump like milk-residue is casein. The protein content in milk is 80 percent casein and 20 percent whey. Both these proteins have Protein Digestibility Corrected Amino Acid Score (PDCAAS) of 1 0. The highest possible PDCAAS is 1.0 and this score means that after digestion of the food, it provides cent percent or more of the recommended amount of essential amino acids per unit of protein. Most recreational athletes work out in the evening and follow it up with a whey shake to maximize muscle synthesis. Contrasted with casein, whey breaks down faster in the body and hits the muscle cells quickly post workout. Rich in leucine, an essential branched chain amino acid, whey fosters muscle growth along with workouts. So far so good, but whey is a quick acting source of protein. This implies that whey reaches muscle cells quickly, attains peak levels in less than 90 minutes, but it runs out too at a fast pace. As a result, blood amino acid concentration drops and your body will begin to breakdown muscles 6 hours after your last meal to provide amino acids to your gut. This is a difficult situation to be in, but the way out is simple. You need to make protein available to your intestines to reverse the scenario and to put your muscles back in an anabolic state. 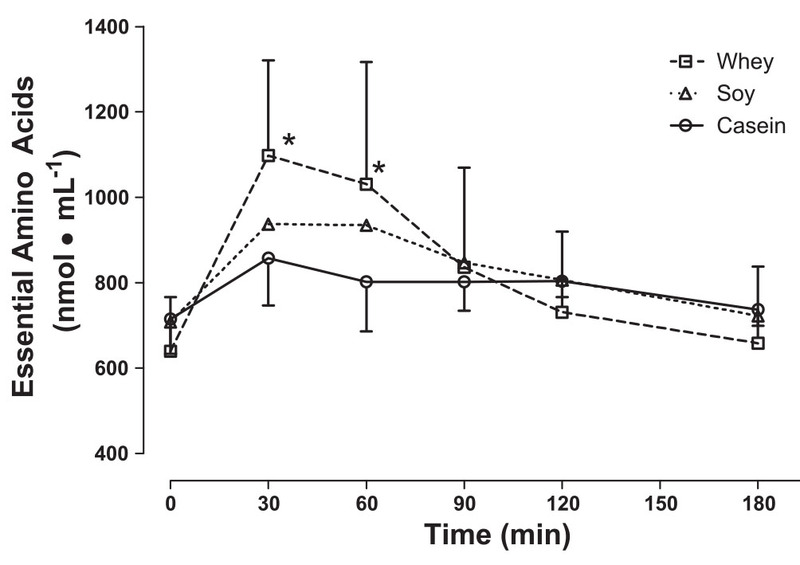 This clearly highlights the value of nocturnal protein feedings to preserve hard earned muscle tissues. And here comes in the role of casein, an abundantly found milk protein to prevent muscle breakdown. Being a slow acting protein source, casein forms a gel in the stomach and slowly trickles down amino acids to the blood stream. This slow and steady flow of amino acids creates a prolonged yet low rate of muscle protein synthesis to preserve muscle mass. Just like whey protein there are many options for casein too. The most common casein supplements are milk protein and calcium caseinate but the most effective protein is micellar casein. The purest and biologically intact form of casein protein is micellar casein. It's specially filtered during cheese making process without chemicals to retain the natural benefits of casein. Earlier casein particles were usually referred to as "calcium caseinate?calcium phosphate particles." The term "casein micelle" was introduced in 1921 and over the years, it stands for the purest form of casein available to put your muscles on 24-hour anabolism trail and keep your metabolism active. Being an excellent source of calcium, micellar casein supports fat loss. 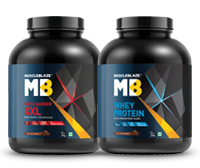 In the world of slow-acting protein supplements micellar casein rules, just the way hydrolyzed whey does in the realm of quick-acting proteins. Research studies have noted that satiety levels have gone up by 33 percent in participants consuming casein. Micellar casein is the best supplement to reduce muscle breakdown, as it contains strains of glutamine which help boost the immune system. 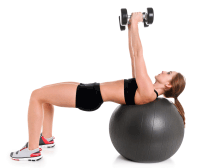 Serious lifters know the kind of strain their muscles undergo while attempting those lifts. Also, it helps them recover faster. Most importantly, the slow-release nature of micellar casein ensures supply of amino acids to help promote strong, lean muscles. In a 10-week long Texas study involving 36 males, it was found that heavy resistance training along with the duo of whey and casein helped build stronger and larger muscles than the combination of whey, BCAA, and glutamine. Anyone who is physically active and trains regularly stands to benefit with micellar casein, especially if he is keen to grow muscles overnight. In bodybuilders, micellar casein because of its long-lasting stay works as an excellent nighttime and in-between meal protein to preserve lean muscle mass, particularly in the chest, shoulder and leg muscles. The best time to supplement micellar casein is before sleep and in-between meals to keep the body in a positive nitrogen balance, even after the fast digesting proteins from the last meal have exhausted. 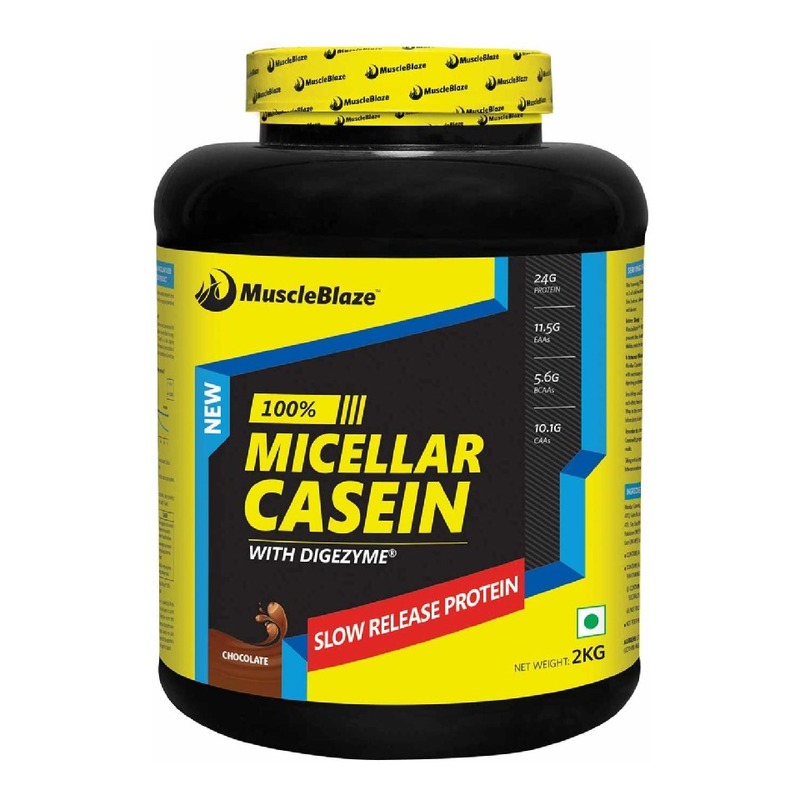 Micellar Casein helps to preserve your hard earned gains when you know you?re going to go without food for a long duration, the time when you sleep. Be sensible and use whey before and after a workout to expedite muscle synthesis and fire your muscle gains.